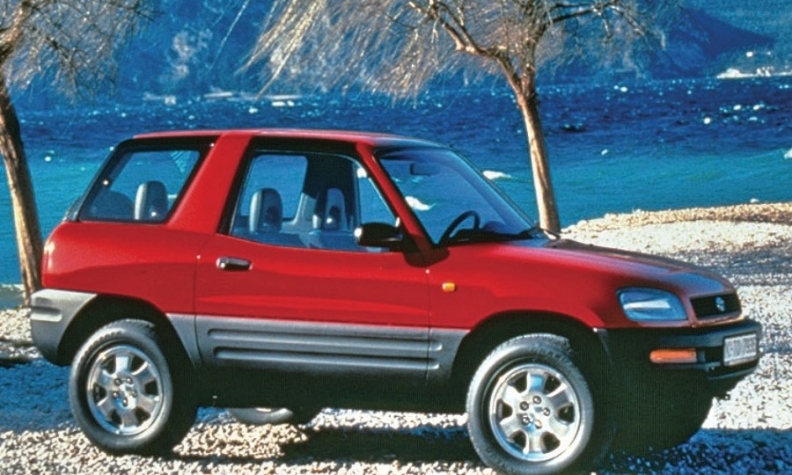 Toyota's car-based 1996 RAV4 kick-started a vehicle segment that has reshaped the industry. CARMEL-BY-THE-SEA, Calif. — Nearly 25 years after the launch of the first Toyota RAV4, it's hard to believe that someone had to invent the segment. But it's true. The car-based compact crossover was once a novelty. The pioneering Toyota nameplate arrived in Japan and Europe in 1994, beating early sales expectations, and then made its way to the U.S. in 1996, creating what would become a crowded and fiercely competitive segment. 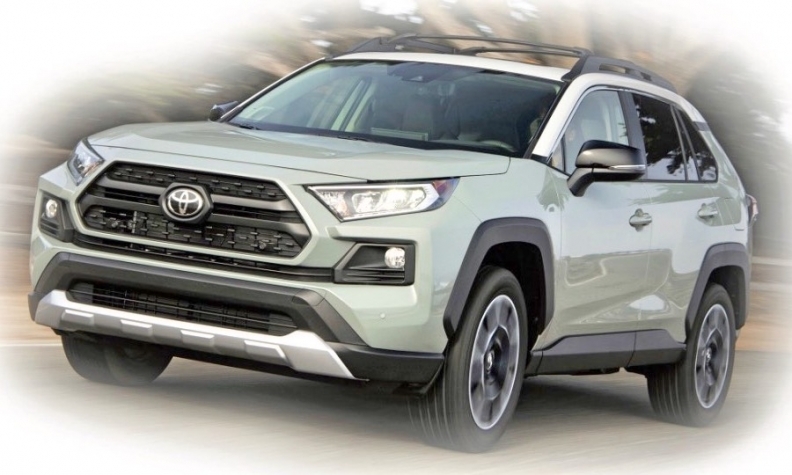 Last year, the RAV4 crossed 407,000 U.S. sales, surpassing the Camry and all other nonpickup vehicles in the U.S., and reaping the benefits of an ongoing consumer transition from sedans to crossovers. And yet, says Yoshikazu Saeki, chief engineer of the 2019 RAV4, something was holding it back: a platform shared with the sedate Corolla that gave it a more carlike ride but also limited its versatility as a utility vehicle. That limitation is gone, Saeki says, now that RAV4 has migrated to the Toyota New Global Architecture, a more versatile platform that underpins Toyota's next generation of products. That list includes the Corolla sedan and hatchback, yes, but it also has been adapted to accommodate the Prius, Camry and Avalon, along with a range of powertain options. Saeki said he wanted to bring the latest RAV4 back to the essence of a utility vehicle: a multipurpose option that can handle adverse road conditions and still make its passengers feel safe. Aside from Jeep-like design touches and a sturdier look, the new RAV4 has a longer wheelbase along with shorter front and rear overhangs that Toyota says will aid its trail-driving capabilities. Available features include Mud & Sand mode for beach driving and Rock & Dirt mode for trails. It also boasts a new drivetrain offering: dynamic torque-vectoring all-wheel drive with rear driveline disconnect, which can direct up to half of engine torque to the rear wheels and shift it to the left or right rear wheel to enhance handling on or off pavement, Toyota says. Toyota showed off the RAV4's off-road bona fides on a bumpy course high above an upscale resort here during a media event this month. Saeki said TNGA gave engineers more leeway to aim features at a diverse set of customers. "If you have that extra margin," he said, "you can test and challenge all of kinds of things." The 2019 RAV4 rides on the ?versatile Toyota New Global Architecture. "Larger-diameter wheels, higher ground clearance. You look at the product [and think], 'OK, this car can go anywhere.' [Consumers] have to feel that," said Saeki, who joined Toyota in 1987 and spent his initial years as a suspension engineer on the Land Cruiser. Canadian Pricing for the 2019 RAV4 hasn't been announced, yet. In the United States, pricing for the traditional gasoline models starts at $26,545 for the base LE, and tops out at $34,545 for the Limited trim. The hybrid models, rated at 39 mpg for a 10-mile boost over the gasoline variants, begin at $28,745 and reach $36,745 at the top tier. Prices include shipping. The sportiest model in the lineup is the hybrid XSE HV trim, with a 0-to-60 mph time of 7.8 seconds. Saeki remembers when the small utility market took off around 2002. He said consumers descended en masse on the segment. Toyota's task, he said, was to make sure it could meet each consumer's expectations. Looking back, Saeki said he's amazed that the RAV4 would kick-start a segment that has reshaped the industry, accelerating the decline of sedans and drawing luxury brands deeper into the utility vehicle market. Saeki said he doesn't know if the crossover craze will keep its momentum, but adaptability will be key in the years ahead. "The market is a living, breathing thing," he said. "You have to rationally look at it, and the expectations of the consumer, to be flexible in how you can adapt."